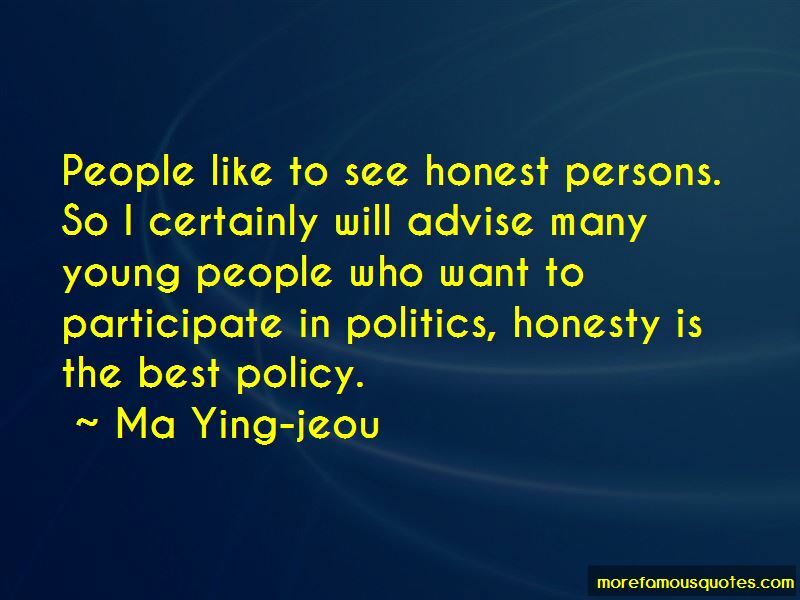 Enjoy the top 7 famous quotes, sayings and quotations by Ma Ying-jeou. Be honest. Be honest with yourself, be honest with, you know, your fellow politicians. This is a rare quality of politicians. 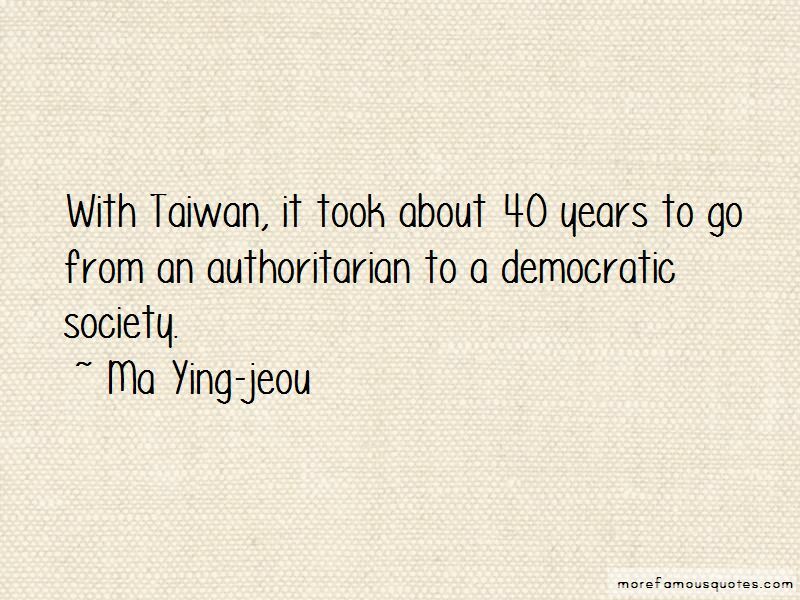 Many in Taiwan believe that Hu Jintao is much more sophisticated than his predecessors in understanding Taiwan. He represents a different generation of leaders, more pragmatic, less ideological. Want to see more pictures of Ma Ying-jeou quotes? 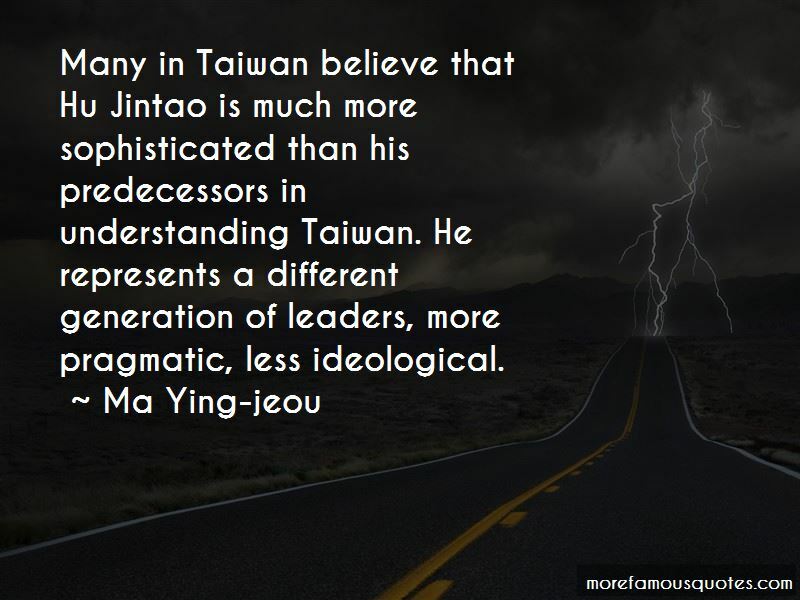 Click on image of Ma Ying-jeou quotes to view full size.